Striking Attitudes is a professional total theatre dance company that works with dancers who can act and actors who can dance. Striking Attitudes uses dance, text and visually compelling imagery to create richly imaginative and original choreography. It is vibrant and exciting dance theatre. ‘Caroline Lamb’s choreography has always been distinctive. It’s gripping and stylised dance theatre’ – David Adams, The Guardian. Celebrating the older dancer, and providing performance opportunities that highlight their unique attributes, is one of the main aims of Striking Attitudes’ work. Whilst not only working with the more mature dancer, much of Striking Attitude’s work provides a platform for them, believing that they do not need to have a short shelf-life nor should professional dancers recede silently into the shadows as they become dancers of a ‘certain age’. Is there such a thing as physical wisdom? Striking Attitudes believes there is, and that physical wisdom is as poignant and as necessary as emotional and psychological wisdom. Striking Attitudes asks why is it that the ageism endemic in our society does not value these qualities of maturity and why must perceptions of age always diminish confidence? If, as we age, we can no longer physically reproduce the ‘form’, then surely we must change the form. It is with this in mind that Striking Attitudes is exploring these themes in film and live performance and, excitingly, combining professional dancers with community dancers. Grace, vitality, vigour, experiential power, and spiritual poise – it is Striking Attitude’s belief that the experienced dancer has something monumental to offer. Striking Attitudes flies the flag for the mature dancer, offering continuity of purpose and careers explored further, not terminated. 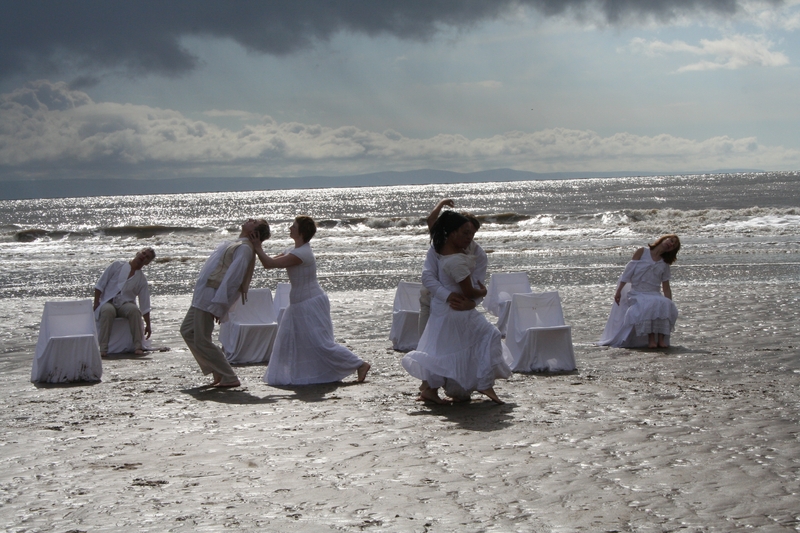 Striking Attitudes aims, as a dance company, to be a force for change at a time when the number of older people in our society is rapidly growing, and to be a voice for Wales by engaging in international dialogue and partnership.